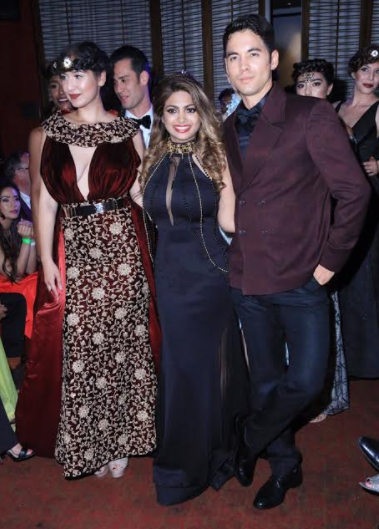 Award-winning celebrity fashion designer Sai Suman's Official Hollywood Fashion Show Launch, 'The Queen in Me,' at the Sofitel Hotel was a rousing success. Los Angeles, CA , April 14, 2017	(Newswire.com) - ​​On Tuesday, April 11th at 7pm, Award Winning Hollywood Celebrity Fashion Designer Sai Suman launched her much anticipated official Hollywood Fall/winter 2017 Runway collection, which took place at the swanky Sofitel hotel at 8555 Beverly blvd in Los Angeles. It was a completely star-studded evening jam packed with celebrities and media. The event was presented by Sai Suman in conjunction with the World Networks which was founded by the vivacious entrepreneur Lousine Karibian and the media partners of the event who hosted the red carpet, noted actress/fashion blogger Vida Ghaffari (The Mindy Project, Jimmy Kimmel Live, So Very Vida) and celebrated actor Ford Austin (Heels, Live by Night) of "Live with Ford and Vida". 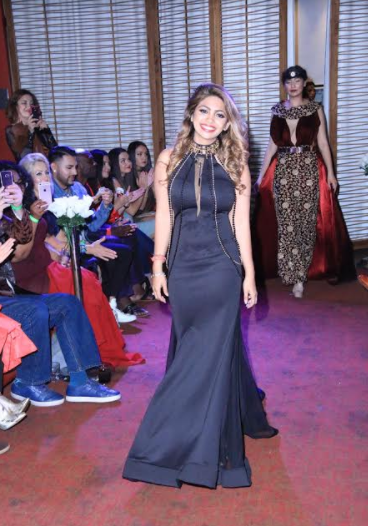 The bustling red carpet, chock full of international celebrities and media, started at 7pm and was followed by the Fashion Runway show at 9:30pm having the elegant royal era theme, 'The Queen in Me' with a romantic Paris feel and runway music reminiscent of "La Vie En Rose". Models walked in the perfect Royal exquisite and glamorous designs illustrating of the theme as it describes, swaying the audiences taking them back to the 1920 era with the modern touch of 2017 styling and detailing on a time travel back and forth between 1920's to 2017 with the mesmerizing women and men's fall/winter collection. The collection has a very unique fabric and appliqué detailing on women's collection whereas Mens suit/tux has a very interesting and eclectic mix of fabric combination seen in velvets, cotton and even leather making it stand out from the basic regular tuxedo trend. This dazzling collection has gold, diamond and pearl delicate appliqué with few having a 3D flower laser cut detailing on the Royal style gowns. Overall it was a show that truly gave a feel of all the Queens all gathered in a royal gala charming the audience with their regal style and fashion in a story narrated by the designer herself with her limitless imagination and creativity. The models look was created by Beyond Beauty and models are from TMJ Agency founded by Terita Jackson. 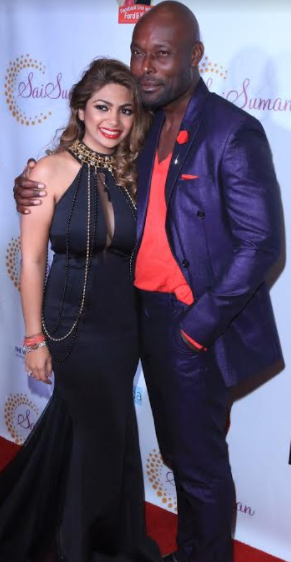 Expected celebrities and VIPs in attendance were Celebrity Fashion Designer Sai Suman, actors Jimmy Jean Louis (Joy, Heroes), Alice Amter (The Big BangTheory), Elvis Nolasco (The American Crime), Vida Ghaffari (The Mindy Project, JimmyKimmel Live), Ford Austin (Heels, Live By Night) and his wife, Emmy award-winning producer Lauree Dash, Ken Davitian (Ray Donovan, Borat), KD Aubert (Too Close To Home), Gabriel Jarret (Real Genius), Christina Elizabeth Smith (Pyschopaths), Said Faraj (War Dogs, Green Zone), Hoyt Richards (Supermodel/Actor), noted Iranian-American actress Mary Apick (Homeland, Last Call at Murray's), Burgandi Phoenix (The Conan show), Carlos Ramirez (Hidden Valley The Awakening) and Kassi Crews (Po, Broken Memories). In accordance with the theme of this event, other esteemed guests in attendance were Hollywood Royalty such as John Blyth Barrymore of the Barrymore clan and even European Royalty in attendance such as HRH Princess Francesca Gioia Drommi. The Hollywood Launch Runway fashion show was a concept created by Sai Suman and was executed by the World Networks to showcase Sai's vision and creativity to all her celebrity and media colleagues for them to experience the journey of her fantasy and glamour under one roof, giving them the experience to be a part of a world-class Couture high fashion fall/winter 2017 launch collection.